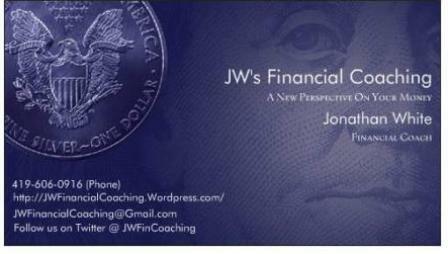 Bio | JW's Financial Coaching-Giving you a new perspective on your money! 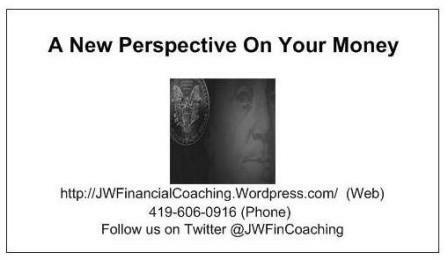 JW's Financial Coaching-Giving you a new perspective on your money! Financial Coaching that teaches you to focus on YOUR economy by giving you a new perspective on your money, serving Columbus Ohio and the surrounding central Ohio area. I have lived in Ohio my whole life, being born in Canton and moving to Ashland at the age of 12. Upon graduating from high school I attended The Ohio State University-Mansfield campus for two years then moved to Columbus for my junior and senior years. After those two years I graduated in 2004 with a B.S. in Accounting and through discipline, hard work, and sacrifice was able to graduate debt free! As an accountant, I have always been interested in personal finance topics. I started watching Dave Ramsey on FOX Business in the winter of 2008 and enjoyed his enthusiasm and heart for teaching. In May of 2009 I got married to my beautiful wife, Lisa, and by sticking to our budget we were able to pay for our wedding and honeymoon in cash and combine our finances peacefully with lots of communication and understanding. 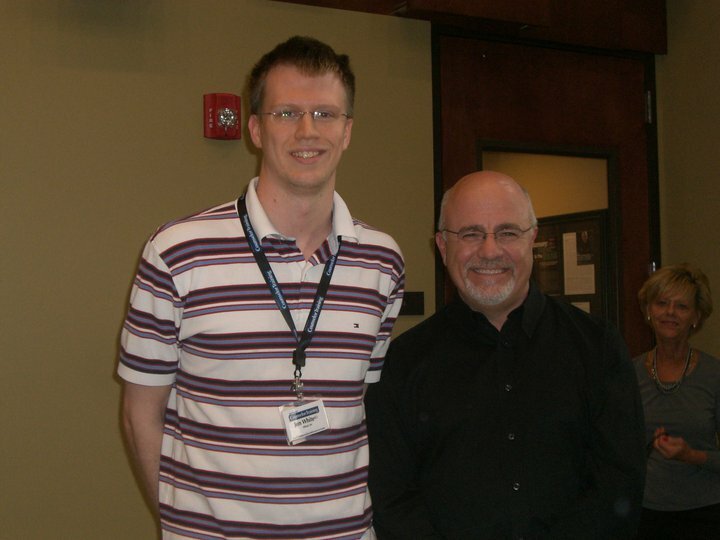 In April of 2010 I attended Dave Ramsey’s Financial Counseling program* which has equipped me to be able to understand every one of my clients’ unique financial situations, provide valuable information, and inject financial hope using Biblical principles. Currently my wife and I are on Baby Step 6 which is paying off our mortgage. We live in Hilliard, OH and are the proud parents to our son Joshua. We are also involved with our church at Harlem Road United Methodist Church in Galena, OH. In my spare time I enjoy reading biographies, running, and watching all things sports including football, basketball, baseball, and men’s tennis. Financial Coaching has allowed me to combine my passions of finances, teaching, and helping others by helping people get on the right track financially. My mission statement is to provide financial education by sharing information and injecting hope that is biblically based to everyone who asks from the rich to the poor, with the heart of a teacher. I am more than willing to walk with you on your own personal finance journey and help bring peace to your finances. To receive more information about how JW’s Financial Coaching can help you give you a new perspective on your money click one of the following links. *Completion of Dave Ramsey’s Counselor Training does not create an employment or an agency relationship or give any Counselor the right to speak for or bind Dave Ramsey or his company the Lampo Group, Inc., nor does it constitute an endorsement or recommendation by Dave Ramsey. Listen to the JW’s Financial Coaching Podcast in iTunes! Join the JW’s Financial Coaching community on Facebook! Listen to the podcast on Stitcher radio! Are you a member of the Debt Free Club? *Completion of this training does not make me an employee or agent of Dave Ramsey, nor give me the right to speak for or bind him, nor constitute an endorsement by him.